No matter what type of business activity you’re engaged in, social media is crucial if you want to stay ahead of the competition and generate more leads and customers. Businesses are starting to understand the value in social media marketing. Instead of going to search engines, a growing number of users prefer to make queries on social networks such as Facebook when searching for products or services. But there’s more to using social media than setting up accounts on Twitter and Facebook and putting up posts and composing tweets. You need to be active and engaging, and offer information people are looking for. Without a definite plan, social media activities can be a waste of time – or worse, a recipe for disaster. Therefore, in order to make an impact, you must first formulate and commit to a long-term strategy that includes a content and social media plan, and an effective means for management and performance monitoring. The planning phase can be the most difficult part of your social media campaign and will be largely responsible for its success or failure. Here are five questions you need to answer to kick your social media campaign into gear. What Do You Want to Achieve with Social Media? Social media networks are versatile and variant in nature, so it’s important to have a clear vision of the goals you wish to achieve before starting your social media campaign. These goals need to be measurable, so you can track the progress of your campaign and shift your focus if things aren’t going well. This will be crucial in determining which platforms you will sign up to and target, how frequently you will post on them, how many resources and staff you will allocate to the task, and the metrics and KPIs you will use to quantify the results of your postings. Increase traffic to your website: By sharing links to your site’s content on your social media accounts, you’re giving users new channels to refer to your website. If you have specific product and landing pages in mind, make sure you’ve set up proper analytics tools and search streams to later track progress. Improve company credibility: Companies that have a strong social media presence are more likely to be considered by media outlets and reporters. You will need to interact with relevant accounts and hashtags and engage in conversations after you setup your accounts. Offer extra customer service and create new lead generation channels: Many customers prefer to make queries and ask questions through social networks instead of sending an email or picking up the phone. Social media can offer you an opportunity to reach new people. Who Are You Going After? Before starting your social journey, you need to define your target audience, because it will have a direct impact on the content and tone of your posts, which naturally have to be tailored to the people who will be viewing them. There are many factors that can help you identify your audience, including interests, age, gender, income, and area of residence. When using social media advertising services such as Facebook Ads, knowing the characteristics of your target audience will help make your campaign far more effective. You have to decide in advance where you’re going to focus your attention and choose the platforms you’ll be using for your campaign. With the social media landscape more fragmented than ever before and dozens of multi-million-user platforms available for sign up, it’s easy to get confused when choosing your target channel. Choosing the wrong platforms can turn your social media campaign into a disaster, while picking the right channel can go a long way toward achieving your business goals. To a large extent, you’ll have to let the demographics and preferences of your target audience choose the social media networks you’ll be using for your campaign. Another way to find out which social networks you should spend time on is to look at which networks you’ve already been finding success on. This can be easily achieved if you’re already using an analytics tools such as Google Analytics to gather traffic data about your website. Dlvr.it blogger Debra Garber explains how to do so here. Pew Research Center has gathered demographics information for top social media platforms which can also be helpful in choosing your starting point. It is best to start with a few platforms that are most relevant to your business, and then gradually expand your network as you perfect your presence on each one. Every social media platform has its own unique advantages and can help your business grow in one way or another. For instance, if you’re running a restaurant or a café, you might consider allocating some extra energy on setting up your Instagram account, where photos – especially photos of food – are shared more widely. Meanwhile, a recruitment agency will find more success spearheading its campaign on LinkedIn, where finding professionals looking for a job is easier. Also take note that the platform you choose will define the required activity and responsiveness. For example, Twitter users usually expect spontaneous and near-immediate responses when they mention your handle, and if you don’t reply to their tweets, they’ll end up choosing a competitor. So if you don’t have the resources to answer quickly, signing up on platforms like Twitter might have a negative impact on your business goals. Before you get started with each of the platforms, make sure you understand its dynamics. Rebekah Radice has a post which will help you get familiar with the major social media platforms and the types of material that should be posted on each. What Content Should You Post and How Often? The best content strategy is one that involves mixed content. There need to be posts that showcase your products, but others need to address the specific needs and interests of your target audience. If you’re only posting bland messages about your latest offers and prices, people will likely tune out and avoid you in the future. Curate posts that are interesting, like news stories, how-to articles, videos and picture lists that are relevant to your industry and to your products and services. Also talk directly to your audience and encourage people to interact with your brand continuously. This is often the forgotten aspect of social media marketing. Many businesses post on their accounts a couple of times a week and leave it at that. You need to show your customers that you care about what each person has to say about your business. In fact much of what you post and how often you do it will depend on the activities that your customers perform. If they ask you a question, answer it (even if it’s just a simple thank you), if they post a photo of your products, re-post it (or retweet it or share it). Making positive connections sharply increases the likelihood of a follower converting and making a purchase. These simple gestures go a long way to managing relationships with your followers and creating a stable base of loyal customers, if that is what you wish to attain through your campaign. Do not underestimate the strength of emotions in selling a product or service. Instead of diving headlong into posting updates on your social media accounts, consider first creating a high-level view of the content you’re planning to put up on each platform. This will help you ensure you cover all the topics and areas involved in your business industry. It will also help you better plan user engagement on each network. You can use the following plan as a guide to scheduling your content posts. What Should I Post Tomorrow, Next Week or Next Month? No campaign should start without a schedule. Lay out the broad outline of your campaign for at least four to six months ahead. Start by setting up milestones and deadlines for your campaign’s iterations, and define the goals of each phase. Also be on the lookout for occasions, holidays, and events on your calendar and mark them. Every one of these can be opportunities to boost your campaign and you should plan for them in advance. Planning in advance will help you mitigate risks and predict campaign success. It also offers flexibility: Once you get the wheels of your campaign rolling, you’ll be able to compare your performance with your campaign’s goals and deadlines, and make the correct adjustments and corrections for each phase. Whether a daily, weekly or monthly calendar will suit your needs is up to you. The key here is to be ready for what lies ahead and be able to respond to unexpected turns and twists. Editorial calendars can save you a lot of time and help you schedule your social content posting. It is highly recommended to create and maintain one. Ideally, you should be able to look at the month or week ahead (depending on your business and particular social strategy) and have a clear view of when certain pieces of content will be shared on social media. Note: Particular tasks have been highlighted in the week view as they are specific to that week, and not generic tasks rolled over from the week before. Social media is a powerful tool that should be included in the arsenal of every business. 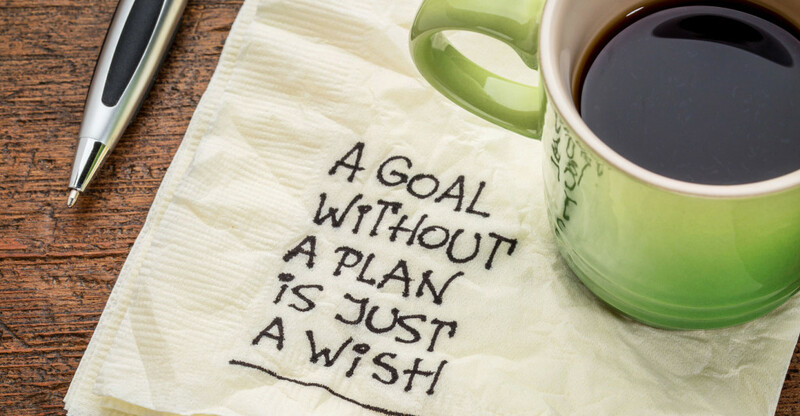 Learn to plan for it and harness its power, and you’re in for success. Neil Sheth is the founder of Only Way Online, a digital marketing agency which specialises in increasing website traffic for businesses through custom inbound marketing campaigns that leverages content, search engine optimisation, social media and paid advertising.